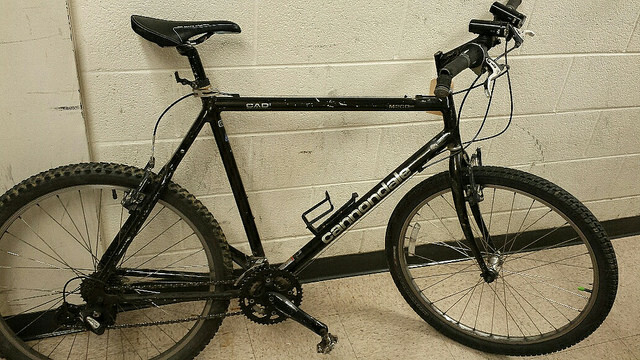 PoPville » Reminder: MPD posts monthly photos of recovered property including bikes, electronics etc. Reminder: MPD posts monthly photos of recovered property including bikes, electronics etc. The Metropolitan Police Department recovers hundreds of stolen and abandoned bicycles every year. This property is inventoried by the MPD’s Evidence Control Division. Property not claimed within 90 days of recovery is considered abandoned. The MPD will advertise this property as abandoned and may dispose of any property not claimed within the designated timeframe. Bicycles not claimed may be auctioned through www.govdeals.com or donated. Before the recovered bicycles are auctioned or donated, images will be posted online. The Property Clerk of the Metropolitan Police Department hereby gives notice of the custody of the following property and his intention to sell or otherwise dispose of such property in accordance with the District of Columbia’s code 5-119.